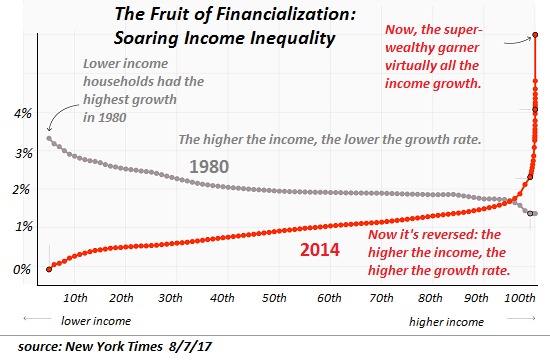 While social justice proponents focus on divisive distractions, the financial aristocracy is tightening its control of the nation’s economy and political order. As everyday life, civil liberties and economic security all become increasingly precarious for the bottom 90%, the divisive focus on social privilege becomes a useful distraction for the financial aristocracy, which also controls the mainstream media. 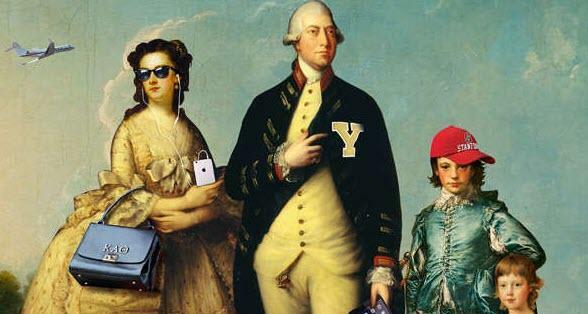 America’s aristocracy is not formalized, and that’s the secret of its success. The power and control are exercised behind the formal machinery of governance and finance, and this structure protects the aristocracy from scrutiny.